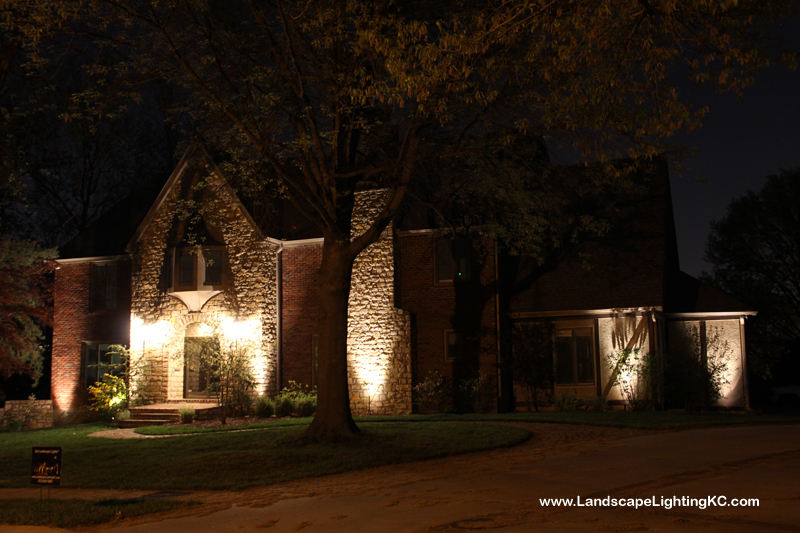 Kansas City Landscape Lighting We installed a new landscape lighting system in Kansas City Missouri. Enjoy! 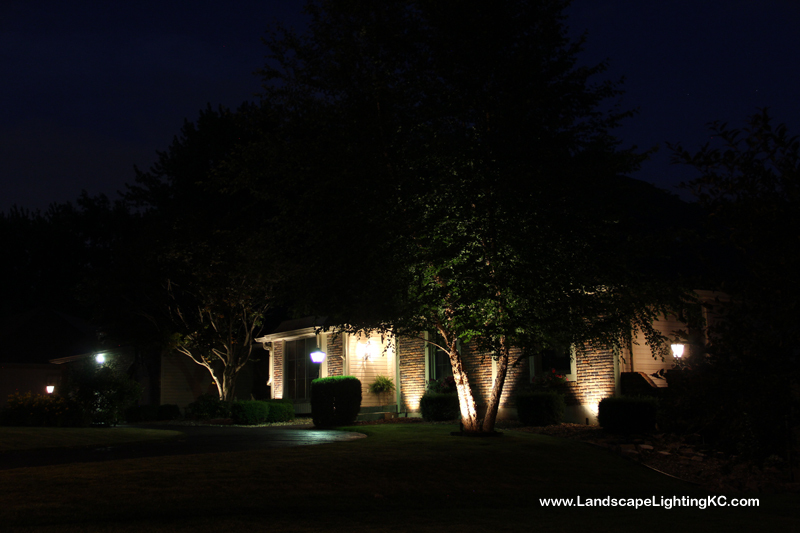 If you’d like to light up your night, give us a call! 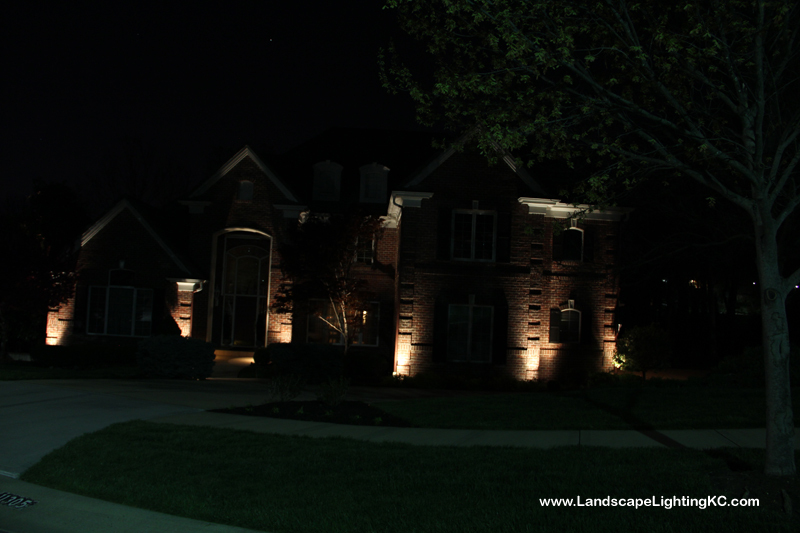 Landscape Lighting Overland Park This was a really neat landscape lighting project to do in Overland Park. The front yard was pretty typical. 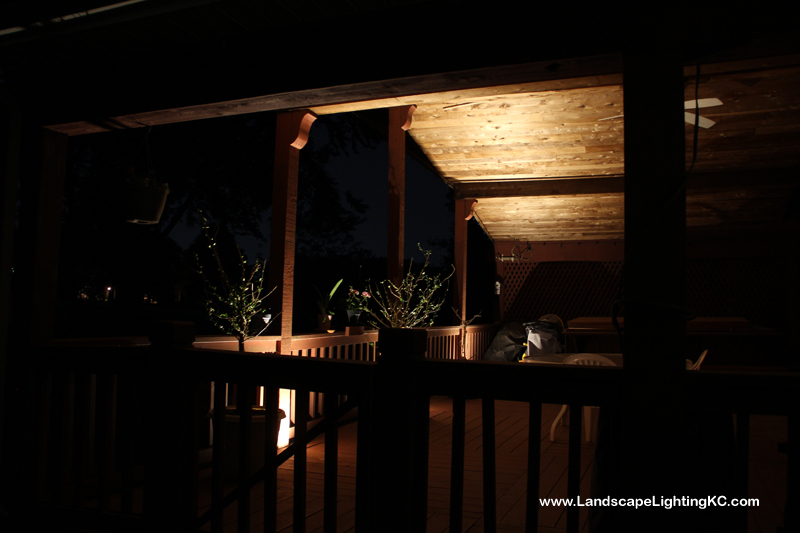 But the backyard has a really neat deck with a cedar ceiling that lights up really well. The pictures are great! 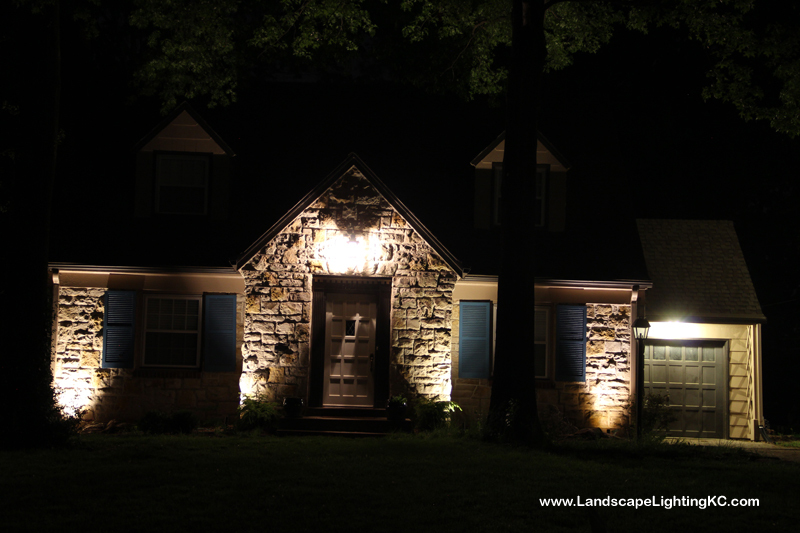 Landscape Lighting in Fairway, KS Here’s a cute little house in Fairway, KS. 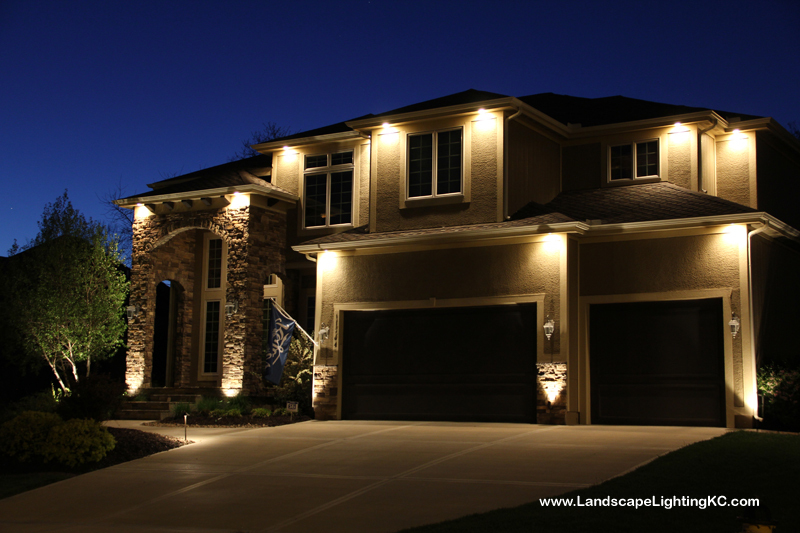 We only used 4 lights on it, but the angles we used on the stone really captured a lot of the house and makes it look fantastic. 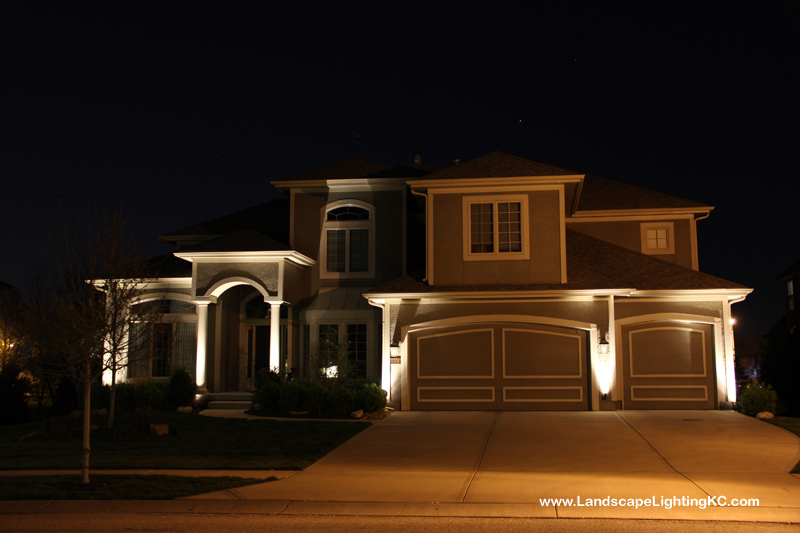 Give us a call if you’d like us to light up your home! 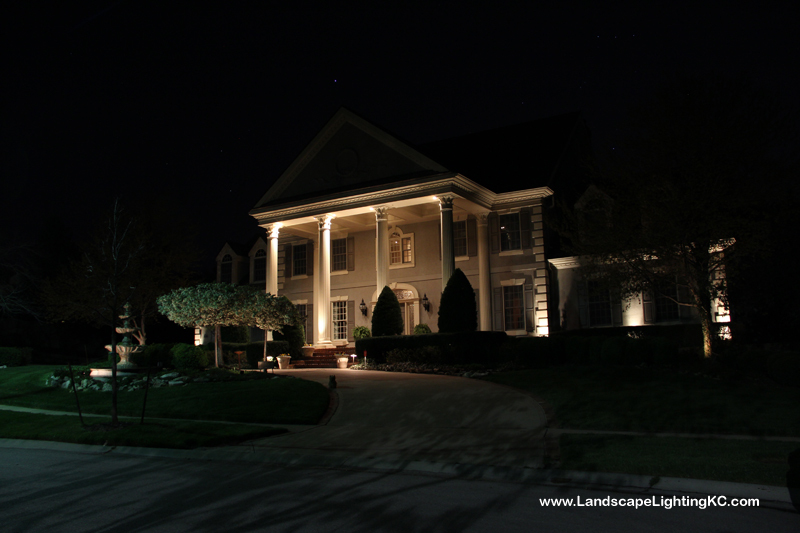 Landscape Lighting Repair in Leawood We did a very extensive repair on this landscape lighting system in Leawood, KS. 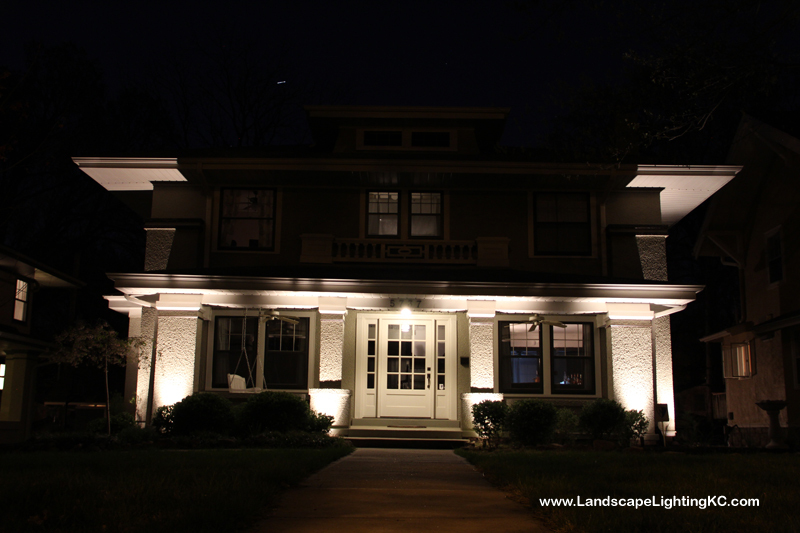 We replaced 10 lights with new landscape lighting fixtures. Re-wired several others. 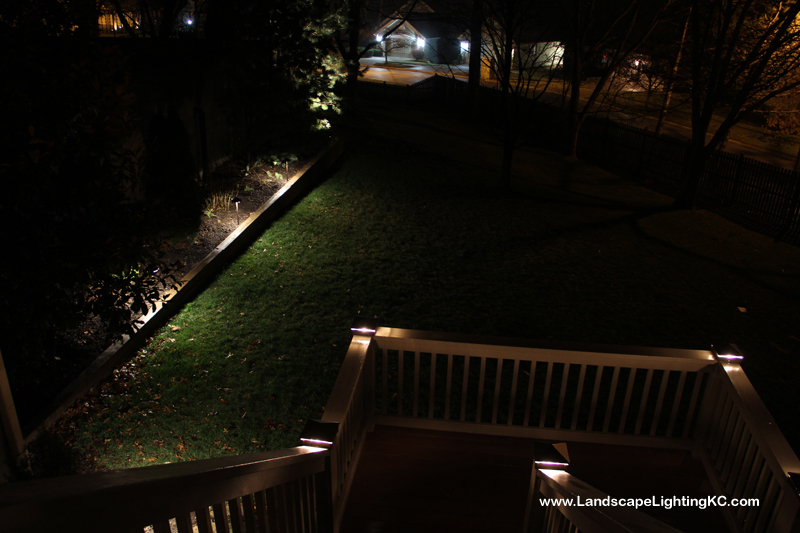 And replaced bulbs and freshened up the paint on others that were salvageable. Looks great now!